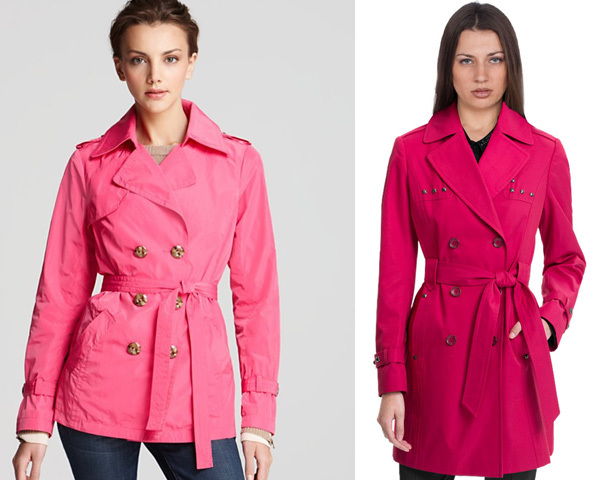 Article showcases how pink as a color must be part of your spring wardrobe. Every color has a unique meaning ascribed to it, when an individual applies it there is a reference to something larger. For example, green signifies nature; red signifies danger and so on. The pinkish color is symbolic of the feminine spirit and hence been used liberally in numerous apparels. It signifies love, nurturing on the wearer and is a tone that successfully brings down passions. Now with onset of spring, it is among the best times to sport this loving shade. Today’s article is dedicated to this shade, let us look at four smart ways of making it part of our wardrobe. Wearing a smart overcoat is a welcome way to impress others. If you have been wearing heavy apparels during winter, then spring is a wonderful opportunity to wear something different, an overcoat is a wonderful way to feel warm as well as enjoy the season. Blazers have and will always be among the cornerstones of formal wear. Wearing a pink blazer is great way to make a fashion statement; however, you will have to accessorize it with the right footwear. The spring season is the season to wear trench coats. This spring one of the most trending colors is pink. We highly advise you to wear trench coats that smartly suit you style. With woman’s revolution picking up pace, women have been competing with men on all spheres. The biker jacket has moved hand in hand with their liberalization. This shade would not miss out and soon came pink colored biker jackets. Though earlier these were seen a symbol of rebellion they in time have transformed to be an impressive fashion statement. On a concluding note, hope you have enjoyed reading the above article, we can conclude with a degree of confidence that this shade is here to stay. Hope you have enjoyed reading the article as much as we have enjoyed writing and researching for you. Apart from this if you have any particular topic/theme that you will like us to write about, do let us know we would love to oblige.